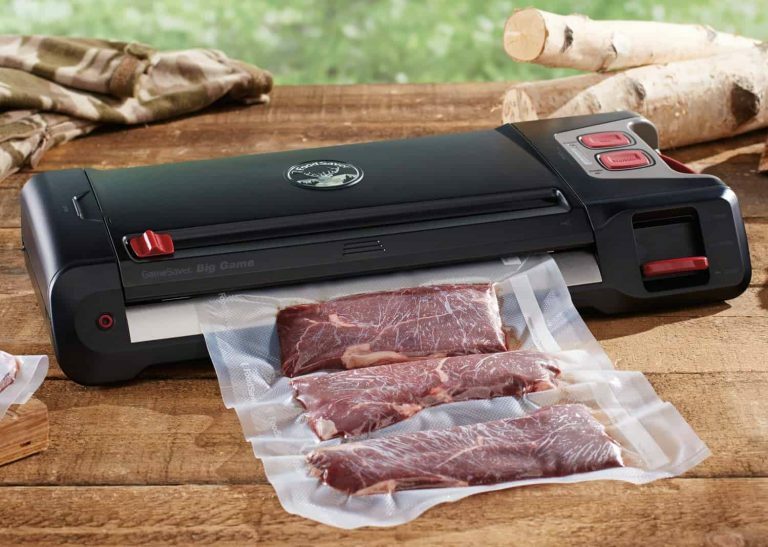 Our FoodSaver Vacuum Sealer Reviews help you find the right food vacuum sealer for your needs. Our reviews look at features, product design, accessories, size, and price, to help you understand the differences from one model to the next so you can make an informed decision. 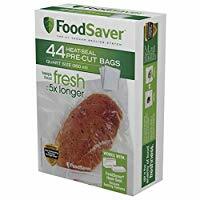 Many of the food saver reviews feature videos of the products helping you understand how to properly use them and how they work. It's easy to get started saving money and keeping food fresh with a vacuum sealer. You can see a brief overview in the table below or look at the Comparison Table to easily compare multiple FoodSaver models. If you're looking to replace a lost set of instructions visit our FoodSaver Instruction Manuals page. FoodSaver products come with the following warranty: 2 Year. Our reviews show the Best FoodSaver model is the FoodSaver FM5200. This model gives you the best combination of price and features that most people are going to use. This model features a manual vacuum and sealing process, but it dramatically reduces the amount of bag waste. The classic automatic sealing process is available on the FoodSaver 4440, FoodSaver 4800, and FoodSaver V3460. This 2-in-1 automatic vacuum sealing system makes it easy to start saving money vacuum sealing your food. 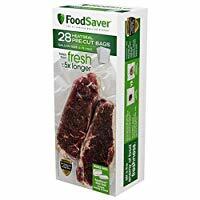 For consumers looking for a more basic vacuum sealer try the the FoodSaver FM2435 or FoodSaver V2244 both are available at a more budget friendly price.The product table below gives you a chart making it easy to compare important features. 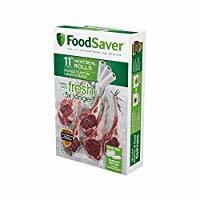 10" x 18" x 10" 11" x 20" x 12" 11" x 20" x 12" 18" x 8" x 17" 19" x 7" x 11" 6" x 11" x 18"
The Foodsaver food vacuum sealers feature product innovations, such as PulseVac™, which allows you to vacuum seal delicate items like potato chips in an airtight storage bag without crushing them. Many of the food sealer units feature automatic sealing, which starts the sealing process with a hands-free operation. All of the FoodSaver food sealers come with a removable dishwasher safe drip tray for sealing your food in liquid or for marinading meats. Many models also come with built-in storage for bag rolls right in the unit, making it fast and convenient to use. 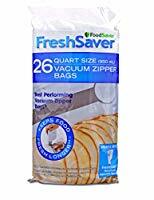 It is recommended that you only FoodSaver certified storage bags, the sealing temperature can vary from one brand to another. The bags are microwave and simmer safe, BPA free, and prevent air and moisture from passing through the plastic and spoiling the food. All FoodSaver products come with a 5-year warranty. A vacuum food sealer is a great way to save money, prevent freezer burn, or get started with cooking sous vide. Food vacuum sealing can bring an extra dimension to everyone's kitchen. 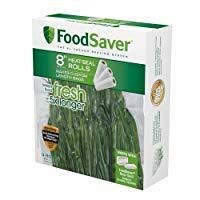 Does a FoodSaver Really Work? 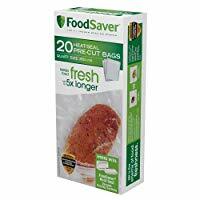 Does a FoodSaver Save Money? Does a FoodSaver Marinator Work? Can You Boil FoodSaver Bags? 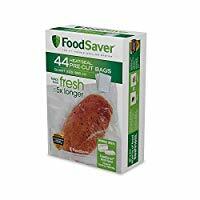 Yes a FoodSaver really does work, by removing the oxygen from package where your food items are stored you can dramatically extend the time you can store a food item before it goes bad. 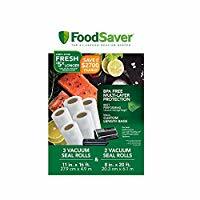 Yes, a FoodSaver does save you money, because you are extending the time you can store food, you increase the likelihood you will use it before it goes bad. Less food waste means more money saved. Yes, the FoodSaver Marinator does work, by removing air from the package you increase the surface area that comes into contact with the marinading liquid. More contact translates into more flavor. 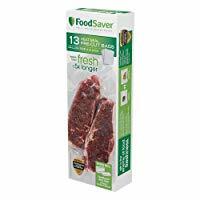 As long as you are using official FooodSaver bags they are freezer, microwave and simmer safe. You can leave them in a pot of simmering water, you should turn down the temperature once the water starts to boil, and you donât want to leave it in a rolling boil of water. The Gourmia GVS445 is a great countertop vacuum sealer that has built in bag storage and a small footprint design.